One of the most common causes of heel pain is plantar fasciitis. The thick band of tissue that runs across the underside of the heel becomes inflamed. People with Plantar fasciitis generally experience stabbing pain that occurs when you step down in the morning or after prolonged period of sitting and the pin decreases when you move around. Buy products that will ease pain and inflammation of the plantar fascia and prevent it from reoccurring from top vendors like Bsn Medical, Brown Medical, Elgin Corporation and many more at HPFY. What can be the possible causes of plantar fasciitis? How does plantar fasciitis affect the plantar tendon? What is the treatment for plantar fascia? How much time does plantar fasciitis take to heal? Plantar Fasciitis is common in runners or people who wear shoes with inappropriate support. 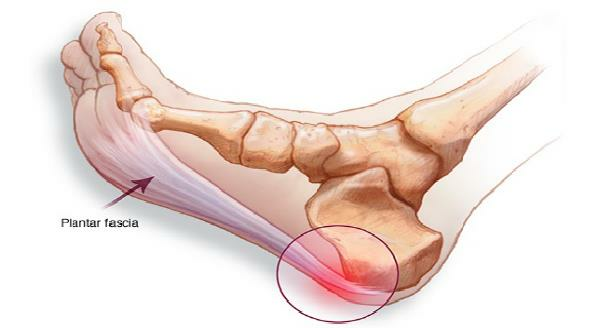 When pressure and stress on the plantar fascia becomes too great small tears occur in the fascia as a result it becomes irritated and inflamed. Ignoring plantar fasciitis can result in chronic pain hindering day to day activities. The person might start limping causing foot, hip, knee or back problems. Physical Therapy: A number of exercises can be practiced to stretch and stabilize your ankle and heel. A physiotherapist may help you conduct these exercises. Also taping can help relieve pain and provide support. Devices like the Elginex Elgin ArchxerciserFoot Exerciser help in stretching the plantar fascia. Night Splints: Night splints stretch the calf and arch of the foot. These splints facilitate stretching while holding the plantar fascia in a lengthened position through the night. Try the Bilt-Rite Dorsal Black Plantar Fasciitis Night Splint for overnight support and stretch.